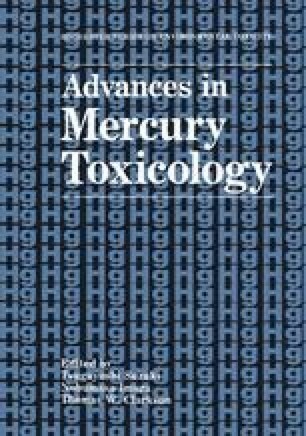 It has been established that there is no correlation between the signs of mercury poisoning and the concentrations of mercury in blood and urine. Measurements of mercury concentration in urine have nevertheless been used for evaluation of exposure to vapor of elemental mercury. This paper reports some interesting observations we made in the mercury thermometer industry, in which workers are exposed to vapor of elemental mercury. The industry consists of small-scale plants scattered throughout Japan, but mainly in the district of Tokyo.